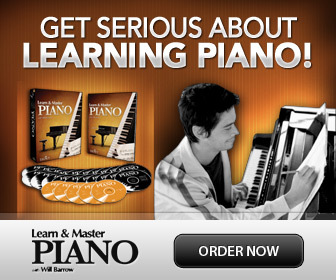 Here are a few selected resources with free piano sheet music for beginners. I have picked some of the best sites where you'll find printable sheet music for piano in classical and popular styles. The online resources I've chosen below have no sneaky sign-ups or a maze of dead ends to wade through- but provide free sheet music; pure goodwill sharing! On some of the sites you can even listen to the mp3, midi file or video where you have that option, so that you know what you would like! These types of sites just make me happy! I hope you will like them too. Gilbert De Benedetti's famous and popular site has lots of resources for beginners. The graded levels are very helpful, and there are truly easy pieces here. 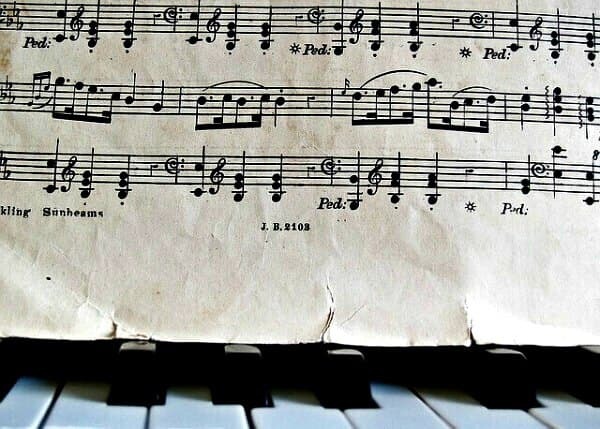 Tip: The easier pieces are great to use for practicing sight-reading! There are audio and video files of the pieces and some even have a tutorial! This is a site you will return to again and again. A lovely touch are the colorful illustrations on each sheet. I often print them with color to my students, as a little reward, but of course you could choose gray on your printer for economy. 8Notes has free sheet music for piano in many different styles, like classical, rock and pop, jazz, folk and more. Click on "more" to get styles like wedding, film music and Christmas! 8notes have great sounding pieces that you also can listen to, and build up your own "repertoire portfolio" with! I like that you can easily organize the pieces by level to find exactly the level you're at. (Just click at "Level"). Pianimation is another wonderful site filled with resources for piano teachers and beginner pianists. You will find worksheets, teaching aids and free sheet music. The site is mainly aimed towards kids, but an older beginner can still find some fun things to play (or play with!). This site has been updated and has a large selection of legal and free sheet music to print, enough to satisfy many tastes. This page has organized the sheet music on different levels, from grade 1 to grade 4. Here is another free sheet music site with interesting unique piano sheet music for beginners and nice arrangements. I like the the different categories, like: Popular Classics, Mission Not That Difficult (Film inspired), Boogie and Blues, and more.